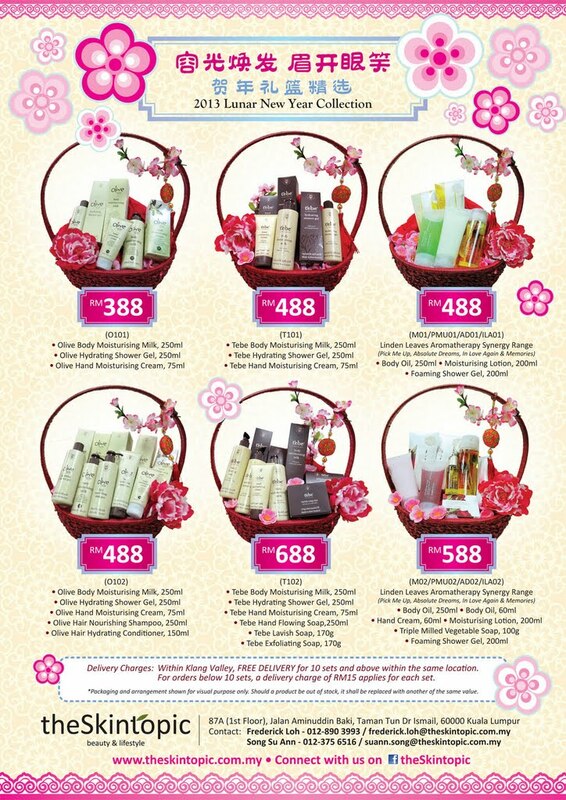 Pamper those who’s around you during this Lunar New Year. Celebrate this festive occasion by sending a CNY beauty gift hamper to your love ones or business associates from theSkinTopic. Remembered a few days ago I’ve blogged about Linden Leaves Aromatherapy Synergy body oil that relaxes your skin and lock in moisture, well they are available at two of the choices below which would make it a great gift for your sister, mother or your client. Priced from RM388 to RM688, they are providing FREE delivery for 10 sets or more at the same location within the vicinity of Klang Valley. For more info, it’s located on theSkintopic Facebook.